Oscar Wilde's poetry and plays have been entertaining readers and audiences for over a century, and for good reason. His infectious personality shows through his bitingly witty, satirical plays and bittersweet poems, making them endlessly compelling, unapologetically blunt and even melancholy. 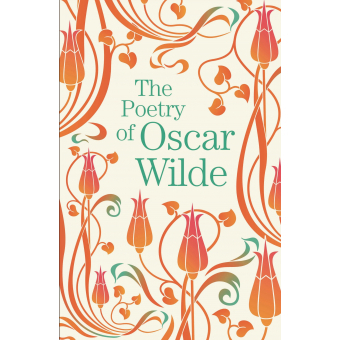 This collection of Oscar Wilde's genius poems follows the tradition of classical publications at Arcturus Publishing. Oscar Wilde was born in October 1854 in Dublin. His father was a doctor, his mother a poet. After attending Trinity College in Dublin and Magdalen College in Oxford, Wilde embarked on a career as a poet, quickly establishing himself as a leading figure in what became known as the aesthetic movement. Shortly after his marriage to Constance Lloyd, Wilde accepted the editorship of Lady's World, an obscure magazine whose fortunes he revived. Simultaneously, his own writing career entered its most fertile period. He was at the height of his powers when the unwise prosecution for libel of the father of his lover, Lord Alfred Douglas, led to imprisonment and social disgrace in 1895. He died in exile in 1900, aged 46.